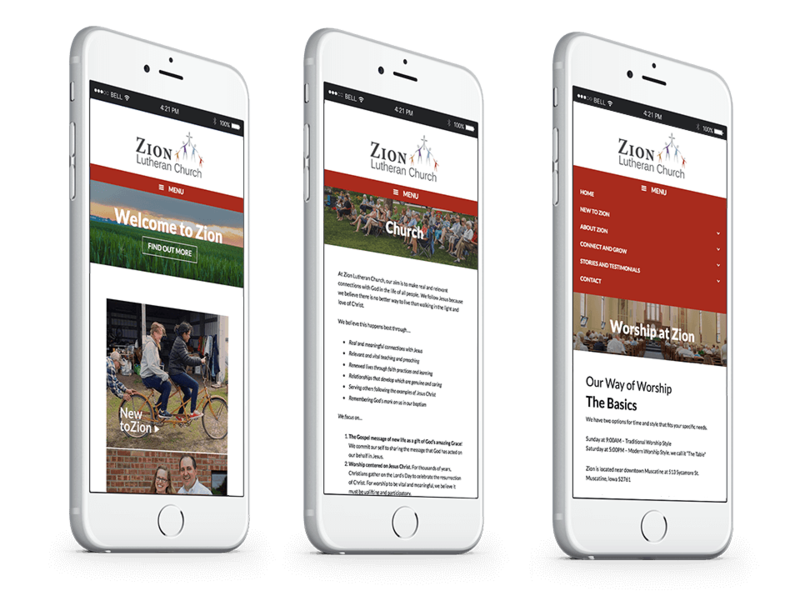 Zion Lutheran Church wanted a new, more modern website where they could share church and community events as well as provide information to members and non-members. Easily accessible information about the vision and mission of the church, its philosophy and style of worship was important to include in the website content. 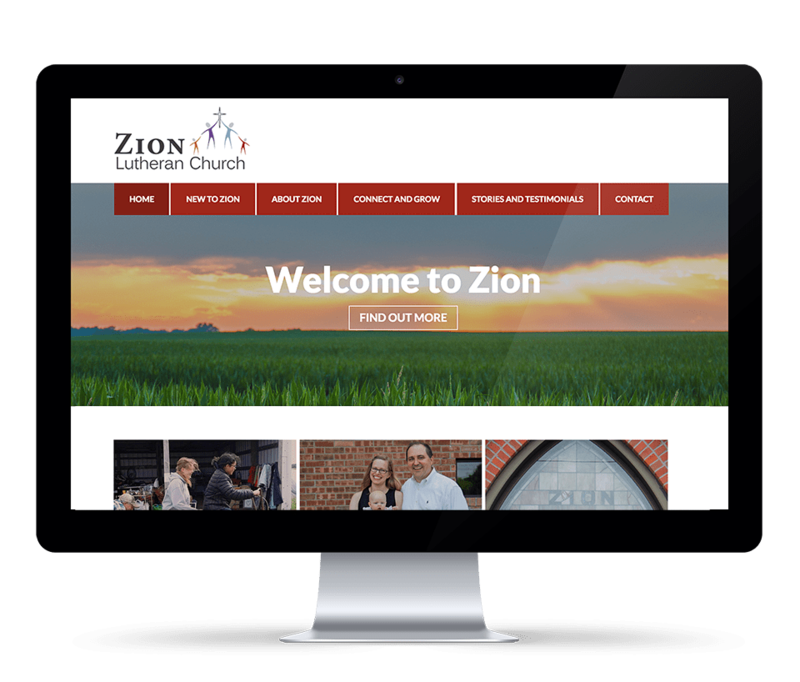 With this criteria in mind, the staff at Zion wanted to apply their ‘grounded and relaxed’ church concept to their website design. Zion also shared with us the importance of incorporating photography and church culture into a website where visitors would feel comfortable. 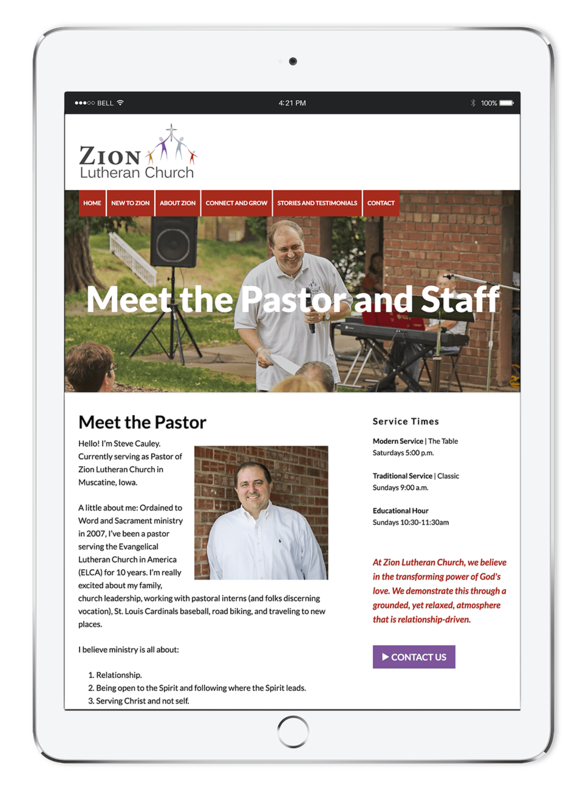 The goal for Zion Lutheran Church was to create a web presence that is modern, welcoming, and depicts relays church information easily. The new Zion Lutheran Church website gives users a chance to explore the atmosphere of worship and community in the church. The site is full of helpful information for both non-members and current members. 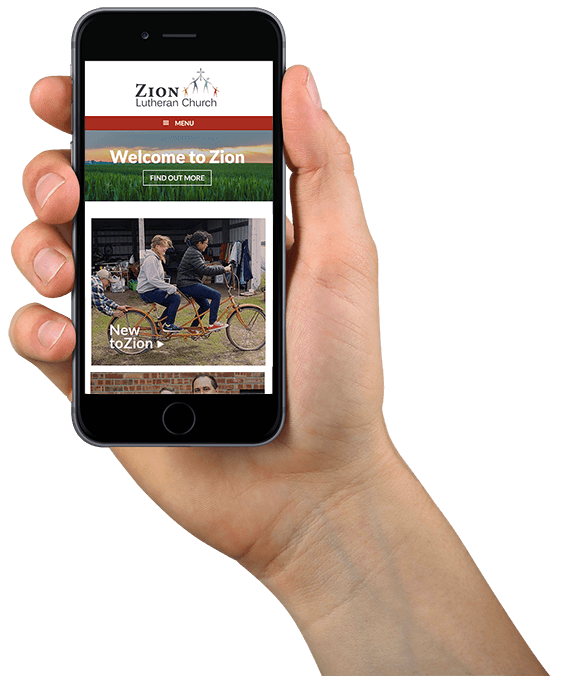 The color palette of the site remains true to Zion’s branding, and each page shows an actual glimpse of daily church life. An additional feature of importance for this website is the inclusion of the news and updates section, which is easy for the staff to maintain and keeps visitors informed on all church activity.